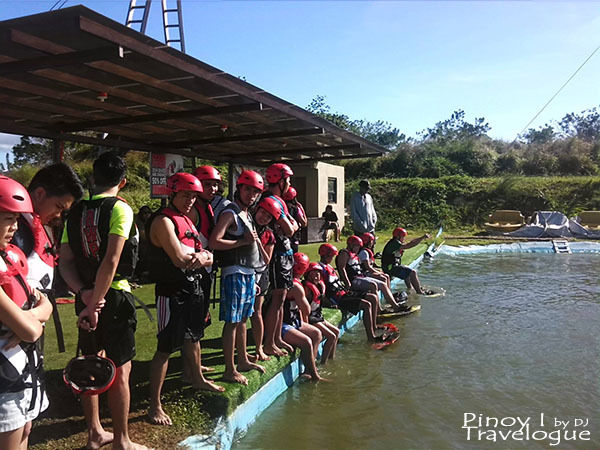 Different water sports and activities have long been on my bucket list waiting to be crossed out. 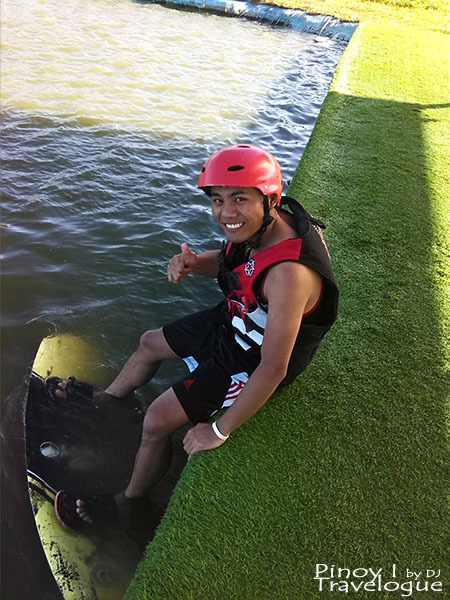 Finally, I was able to try what I think is the most fun and exciting; wakeboarding! 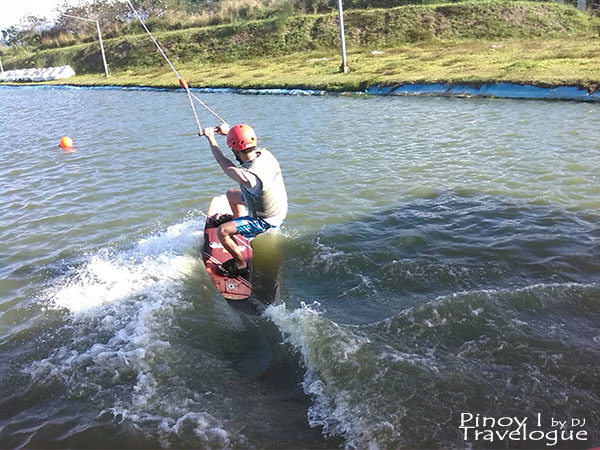 But I did not have to get far in CamSur, Batangas, or Pampanga to try the sport. 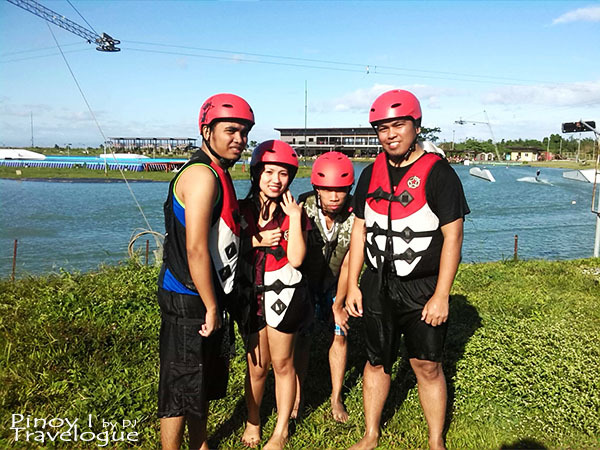 I had my very first cable wakeboarding experience at Republic Wakepark located in Metro Manila's neighboring province in the south. 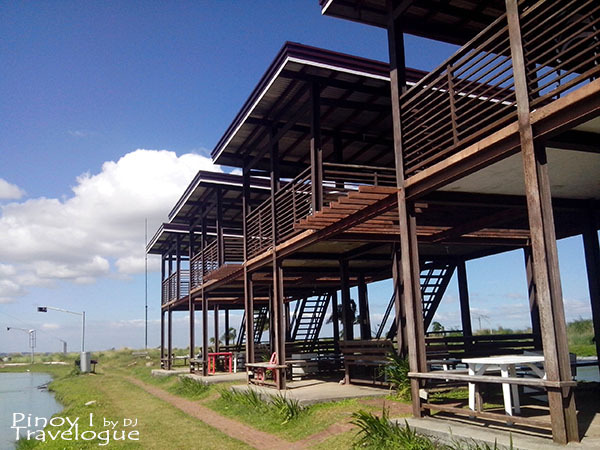 For commuters, check my post on how to get to Nuvali. Once you arrive in Nuvali (Solenad), look for the terminal near Shell gas station and hop either on a Nuvali bus or shuttle which departs alternately every hour. We arrived at the terminal around 11:30 AM so we waited until 12 noon before the scheduled bus left. 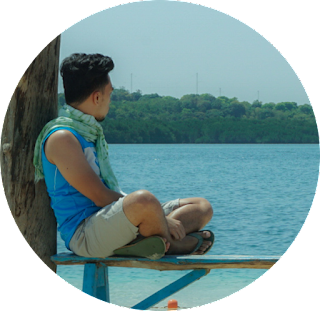 Fare: PHP 25 (bus), PHP 20 (shuttle); Travel time: 15 minutes from Solenad. Get off when you see the signage pointing to the wakepark, then walk ahead until you reach the park entrance. 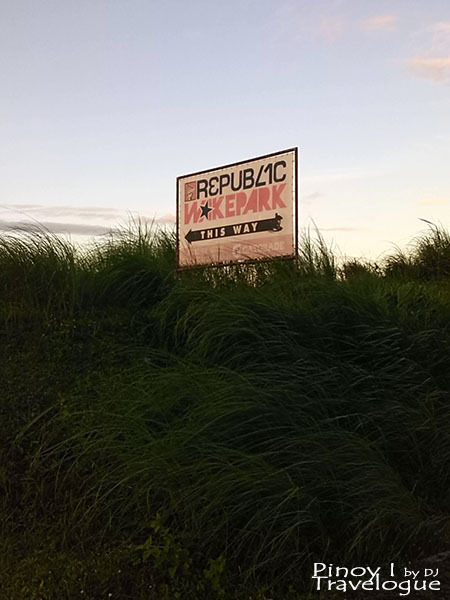 For those who will be driving their own car, visit Republic Wakepark's website for directions. 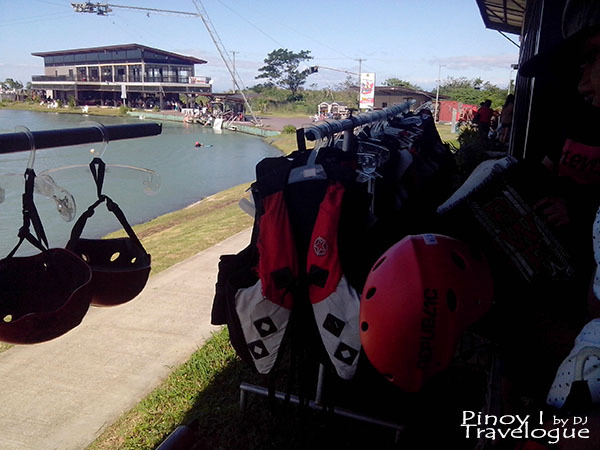 Before wakeboarding, we fueled ourselves first with rice toppings and pizza at the park's open-view lakeside restaurant. 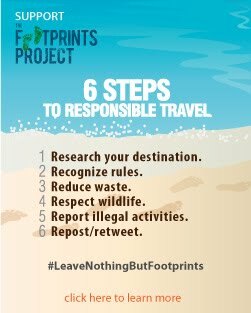 Bringing in of your own food and drinks are not allowed inside the park or you will be charged a fee. Rice toppings range from PHP 150-250 while a 12-inch pizza costs PHP 330. Me and my buddies recommends twice-cooked adobo and laing pizza should you opt to dine by the lake. 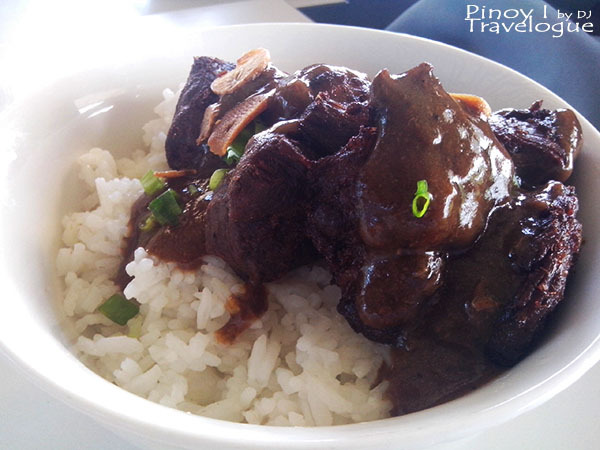 Twice-cooked Adobo. Meat is crispy outside, but it is tender inside as if it falls off the bone if it has one. It might indicate that the meat was marinated for hours and then fried before being cooked in adobo mixture. Who doesn't like adobo anyway? 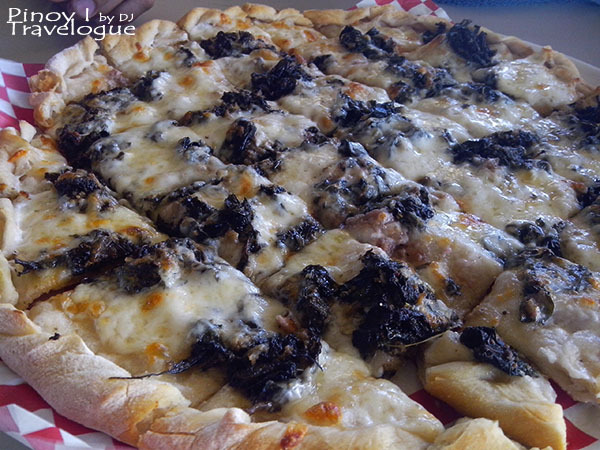 Laing Pizza. Our first time to eat this pizza flavor. The taste and texture of ginataang laing blended perfectly with the cheese. Laing and cheese combination nailed it! Other rice toppings you can dig in: Beef Garlic Salpicao, Asian Chicken Cashew and Sweet and Sour Pork. Just be sure to eat your order as soon as it was served. Winds are very strong that it will take away the hotness of the food in no time. 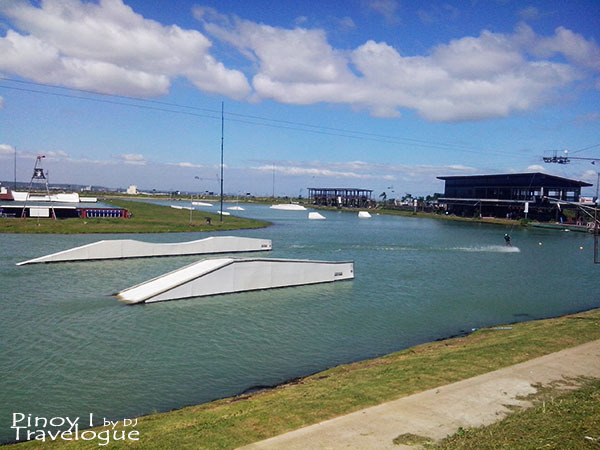 Rates may change in time, for updated rates visit Republic Wakepark's website. 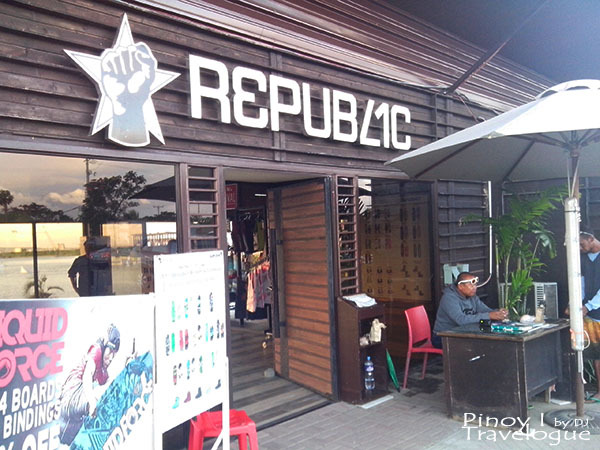 Aside from the rates above, we paid a refundable PHP 600 for the helmet and vest. We claimed it after the gears were returned to the counter. We're ready to take some action! There are three man-made lakes on the park. 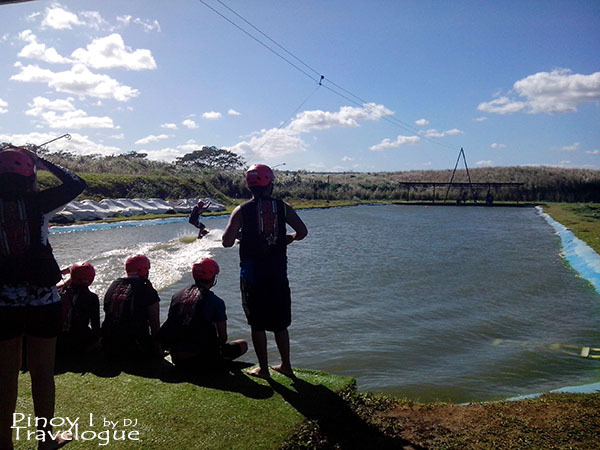 The largest which is an oval-shaped arena and has elevated ramps and obstacles is the area for the more advanced and adventurous riders. On sides are two smaller lakes for the beginners. Since it was a weekend, there were many people who came that day to try the sport. For two hours, I had glided four times while my friends had six. I suggest that you arrive at the park earlier in the morning or later in the afternoon to maximize your ride. Out of my four turns, I reached the other end of the lake twice without falling; wasn't bad for a first-timer, I guess. This won't be the last time I will be doing this sport, definitely. If not in Nuvali, maybe in CamSur or where else. Who knows? Wakeboarding maybe my future sport. Haha! Be extra careful on your belongings as there were no lockers at the park. You may put it on the bleachers of the activity area or on the tables of the view deck or lakeside restaurant where CCTV cameras were installed. Protect yourself from the sun if you are riding by noontime. Somewhat protect yourself from cold. You'll shiver as soon as you get out of the lake after your turn because of very cool breeze. If you came via public transportation, the only way to get out is to go back to Solenad. Wait for the shuttle or bus at the waiting shed near the park. We waited there for about an hour before the shuttle arrived.